When a baby is born, its system is pure and uncontaminated by toxins. But the fact that the child has so much less body mass than an adult’s, and their skin is five times thinner, means that their exposure ratios are much higher. These toxins are then stored in fatty tissue, where the concentration is much higher because the baby has less mass to spread it around and therefore suffers more from the direct effects. Even more worryingly, so many toys, pacifiers and even fabrics are likely to end up in a baby’s mouth that their exposure rate is much more than that of an adult. Moreover, being small they can inhale higher levels of chemical carrying dust as well as any fumes that might be in the home, such as from flooring or cleaning products. While it is virtually impossible to care for a baby in completely toxin-free environment today, here are 5 reasons that organic baby bedding is well worth the extra cost to give your infant the healthiest and cleanest start in life. The polyurethane foam usually found in the cheaper types of child’s cot mattresses is made from petroleum, that can emit volatile organic compounds (V.O.C.’s), which both the Environmental Protection Agency and the Occupational Safety and Health Administration have linked to respiratory irritation and other health problems. Additionally many such mattresses have plastic polyvinyl chloride (PVC) covers which should be strictly avoided because they release cancer-causing dioxins and may contain phthalates, which can interfere with testosterone and can cause abnormalities in male reproductive development. While mattresses made from natural materials, such as wool, must still meet flame resistant standards but as they are inherently flame resistant they require fewer (if any) chemicals. The sheep are also raised organically, which means they don’t overgraze and strip the land of vital nutrients. Organic wool is softer. 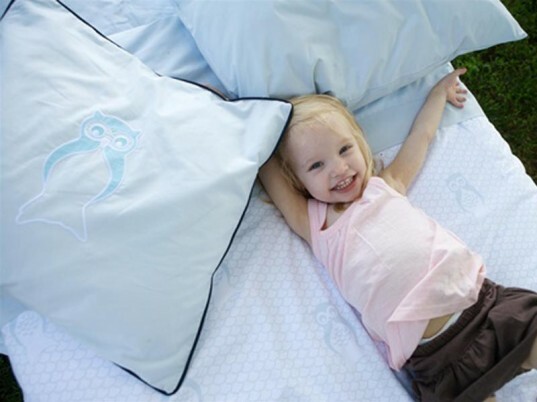 Bedding made from organic cotton or wool is also free of pesticides and fertilizers that can irritate your baby’s skin. This means it is better for the environment as well. Conventionally grown cotton is a known environmental pollutant, whereas organic cotton is grown in an environment where no chemical fertilizers, pesticides or herbicides have been used for a minimum of three years. Organic baby sheets also use non-toxic dyes that come in lovely soft colors such as wheat, light brown or sage green. Conventional sheets, on the other hand, are whitened with chlorine bleach or brightly colored with toxic dyes which may contain heavy metal, petroleum products or even formaldehyde. Truly organic nursery bedding, including pillows and comforters, is stuffed with organic cotton or wool batting which is resistant to bacteria growth and dust mites, meaning the baby will be subject to fewer allergens. 100% certified organic cotton crib bedding is not only a greener option and softer, but they are also more durable, lasting up to five times longer than conventional cotton. A greenbuds baby is a healthier baby with a much more confident, environmentally conscious mum. This entry was posted in Kids Care and tagged Bedding, Crib, Organic. ← Travel Fashion: What Items Are Essential Holiday Wear?